History — The Bartram Garden Club, Inc.
Carolyn Stevens, 2015-2017 District IV Director of the Florida Federation of Garden Clubs, Inc., along with Fernandina Beach resident, Beverly Williams, spearheaded the organization of a federated garden club to serve the Amelia Island area residents. Orientation meetings were held in June and July of 2016. It was decided the name of the club would be The Bartram Garden Club, Inc. in recognition of famed colonial naturalist William Bartram, who set foot in Florida on Amelia Island in 1774 and recorded its flora and fauna. Twenty-six charter members joined during the first official meeting in September and the club was chartered by FFGC the following week. In additional homage to the Bartram name, the former Rose Garden Club of Fernandina Beach erected a historical marker at the city's waterfront indicating a site of Mr. Bartram's travels and influence on the area. 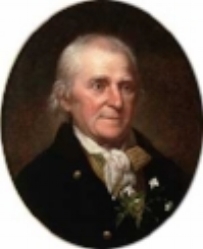 William Bartram was the inspiration for the name of the Bartram Garden Club of Amelia Island because of his exploration of this area and his early documentation of flora and fauna of the region. William Bartram (April 20, 1739 – July 22, 1823) was an American naturalist. The son of Ann (née Mendenhall) and the naturalist John Bartram, William Bartram and his twin sister Elizabeth were born in Kingsessing, Philadelphia, Pennsylvania. As a boy, he accompanied his father on many of his travels to the Catskill Mountains, the New Jersey Pine Barrens, New England, and Florida. 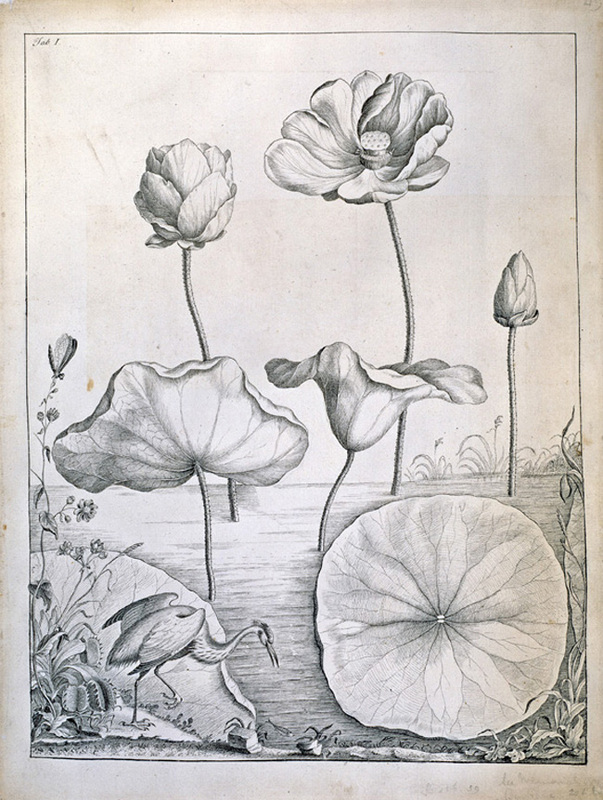 From his mid-teens, Bartram was noted for the quality of his botanic and ornithological drawings. He also had an increasing role in the maintenance of his father's botanic garden, and added many rare species to it. In 1773, he embarked upon a four-year journey through eight southern colonies. Bartram made many drawings and took notes on the native flora and fauna, and the native American Indians. In 1774, he explored the St. Johns River, where he had memorable encounters with aggressive alligators, and also visited a principal Seminole village at Cuscowilla, where his arrival was celebrated with a great feast. He met Ahaya the Cowkeeper, chief of the Alachua band of the Seminole tribe. When Bartram explained to the Cowkeeper that he was interested in studying the local plants and animals, the chief was amused and began calling him Puc Puggy (the flower hunter). Bartram continued his explorations of the Alachua Savannah, or what is today Paynes Prairie. William Bartram wrote of his experiences exploring the Southeast in his book Travels through North & South Carolina, East & West Florida, the Cherokee Country, the Extensive Territories of the Muscogulges, or Creek Confederacy, and the Country of the Chactaws, Containing an Account of the Soil and Natural Productions of Those Regions, Together with Observations on the Manners of the Indians, published in 1791 and which is today simply known as Bartram's Travels. Ephraim George Squierand Edwin Hamilton Davis, in their book, Ancient Monuments of the Mississippi Valley, name Bartram as "the first naturalist who penetrated the dense tropical forests of Florida." "I observed one of them was a young prince who had, on my first interview with him, declared himself my friend and protector, when he told me that if ever occasion should offer in his presence, he would risk his life to defend mine or my property. This young champion stood by his two associates, one on each side of him, the two affecting a countenance and air of displeasure and importance, instantly presenting their scratching instruments, and flourishing them, spoke boldly, and said that I was too heroic and violent, that it would be good for me to loose some of my blood to make me more mild and tame, and for that purpose they were come to scratch me; they gave me no time to expostulate or reply, but attempted to lay hold on me, which I resisted, and my friend, the young prince, interposed and pushed them off, saying that I was a brave warrior and his friend, that they should not insult me, when instantly they altered their countenance and behaviour; they all whooped in chorus, took me friendly by the hand, clapped me on the shoulder and laid their hands on their breasts in token of sincere friendship, and laughing aloud, said I was a sincere friend to the Siminoles,…"
"Behold him rushing forth from the flags and reeds. His enormous body swells. His plaited tail brandished high, floats upon the lake. The waters like a cataract descend from his opening jaws. Clouds of smoke issue from his dilated nostrils. The earth trembles with his thunder. When immediately from the opposite coast of the lagoon, emerges from the deep his rival champion. They suddenly dart upon each other. The boiling surface of the lake marks their rapid course, and a terrific conflict commences. They now sink to the bottom folded together in horrid wreaths. The water becomes thick and discoloured. Again they rise, their jaws clap together, re-echoing through the deep surrounding forests. Again they sink, when the contest ends at the muddy bottom of the lake, and the vanquished makes a hazardous escape, hiding himself in the muddy turbulent waters and sedge on a distant shore. The proud victor exulting returns to the place of action. The shores and forests resound his dreadful roar, together with the triumphing shouts of the plaited tribes around, witnesses of the horrid combat." During the summer Bartram made another excursion to Alachua Savannah and on to the Suwannee River. He travelled one last time up the St. Johns River in September and left Florida forever in November, 1774.